We love alumni reunions! At the GFT Inspiration Day, we had the opportunity to meet up again with smart home startup Codeatelier. 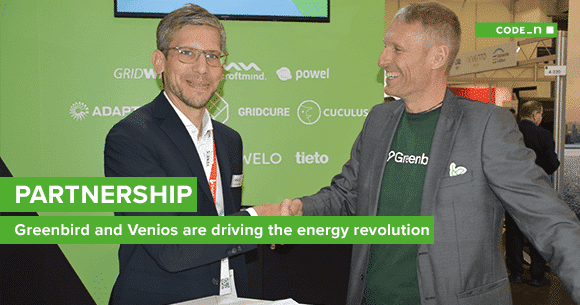 Its two founders, Waldemar and Jochen, gave us an update on what’s been happening since they took part in the CODE_n CONTEST back in 2013. 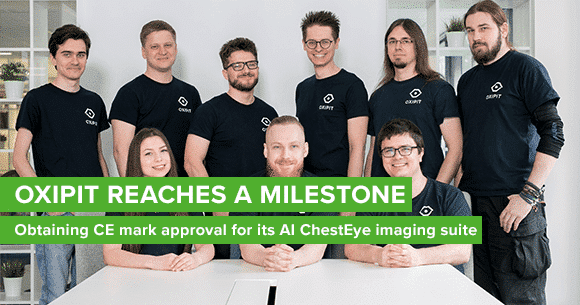 And here’s what we can tell you: There has been a lot of development, since through the competition and the platform at CeBIT, they were able to find a key partner to help them grow further and have now even come up with another startup idea – Steuerbot – which they are currently working on. You’ll also learn in part 2 of the interview why the founding duo doesn’t necessarily recommend establishing a startup in the hardware sector to other entrepreneurs ;-). Lisa: Hi Waldemar. Hi Jochen. It’s great to see you both again. 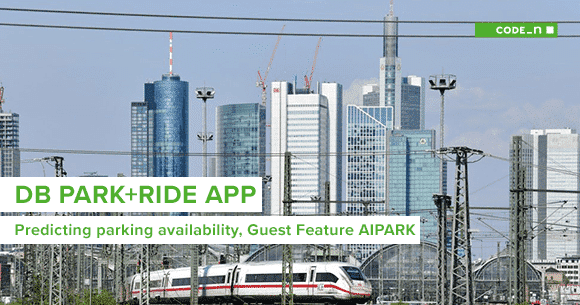 You took part in the CODE_n13 CONTEST. So tell us. What’s been happening since? Codeatelier: We were able to generate an incredible number of contacts – by the end of the day, we had an enormous stack of business cards. At the time, we were awarded the prize by Continental and by Hager. Ultimately, however, we were able to convince the highly successful industrial firm Hager to become our cooperation partner. We implemented a major project with them that was crucial for building up our business and getting to the point where we were able to sustain ourselves. 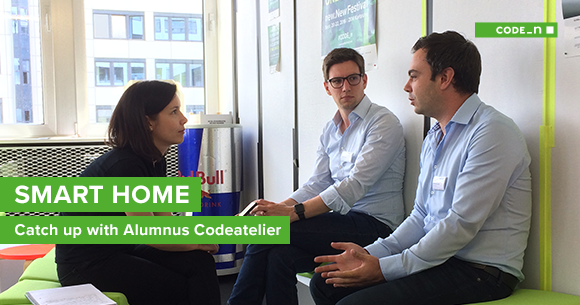 Lisa: We recently reported about Hager’s exciting innovation activities on the CODE_n blog. We also reported that, over the last two years, you and Hager have developed a product called coviva, a smartbox for controlling intelligent building functions. Codeatelier: Exactly. After the CONTEST, nothing happened for about six months. Then Hager approached us and we drafted a prototype together. It was on the basis of this that we developed coviva. The system is built on the same principles as our smart home system homee. The hardware is different and the apps look a bit different, but the software works in a similar way. homee uses wireless standards that are open to everyone else. With coviva, Hager uses its own wireless standard for alarm systems. This also gives rise to different user types. A user buys a coviva box via a tradesman or alarm systems engineer, who takes care of the setup. The homee customer buys the product himself and also installs it himself at home. Both systems benefit from each other, however. With coviva, we are learning from our partner Hager’s experience and professionalism, while homee offers the more playful side with dynamic technologies. This interaction represents a win-win situation for both products. 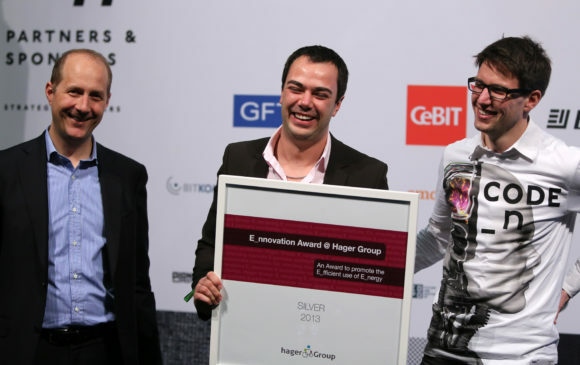 Daniel Hager (left) presents Waldemar (center) and Jochen (right) with the runner-up prize in the prestigious E_nnovation Awards @ Hager Group. Lisa: Give our readers a brief summary of what features homee offers to customers. Codeatelier: Smart home systems are often complicated to use, but not homee. There are various modules – a bit like Lego blocks – that make it easy for you to create your own smart home system the way you want it. The associated app allows the user to control the system in a simple manner. There aren’t even any operating instructions. Instead, I start directly with the app, position my homee in the apartment and that’s it. I don’t need one app for the shutters, one app for the light, etc. Instead, I just need the homee app that allows me to control everything. Different technologies can also be linked together. If I buy myself an Amazon Echo, for example, I’m able to control all of my devices with my voice thanks to homee. When it comes to future technologies too in this field, like Google Home, we’ll quickly dock onto it and offer an integration solution. 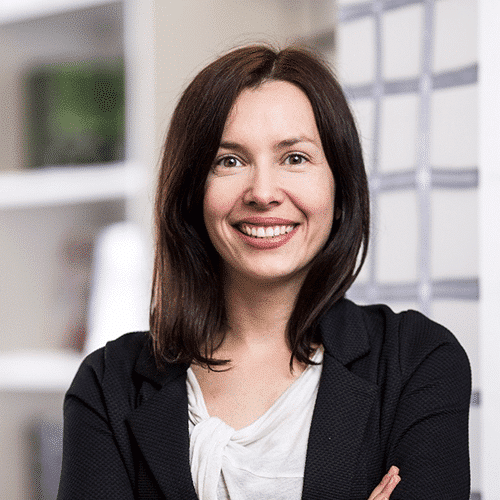 Lisa: How do you manage to adapt the product so quickly to the market? Codeatelier: We are very close to our customers. We encourage our customers to exchange ideas and tell us openly how they personally used their smart home systems. This gives us new ideas and stimulus about how else the product could be used in our own homes. We also follow the debate on forums, for example. Lisa: Your team now consists of 13 people. How do you go about hiring digital talent? The battle for the right people is still continuing. What approach do you take to finding the right people for your team? Codeatelier: Of course, hiring is difficult for us. In terms of salary, we can’t compete with the big companies in our field, so we have to be a bit more innovative. We try to make contact with people while they are still studying. We work with universities and offer internship places. Students can also complete their bachelor’s thesis or even their master’s thesis with us. This is a getting-to-know-you exercise for both sides, and it works out brilliantly. As a startup, we do have a few things to offer, especially for younger people. We’ve noticed that salary isn’t everything. The working atmosphere and the people you work with are an important aspect too. And I think we have the balance right. After all, if we manage to get people to choose us, then they usually stay. Lisa: What areas are you also active in, alongside universities? Codeatelier: We have a very active presence in developer communities. This gives us an impression of what talented young developers are working on and what interests them. We’re also able to write to people and let them know about jobs we have available. We’re a young team, and we are able to offer young talented people the opportunity to develop and grow with us. We take an individual approach to each employee. Lisa: So what has been your biggest challenge so far in terms of setting up the company and the startup? Codeatelier: I think it was the leap from university, so the evolution from student to entrepreneur. We’re techies, and suddenly we’re having to deal with things like accounting. The first challenge was to write and see a black zero, and then think “OK, we’re profitable, we’ve got a good concept.” Expanding the whole thing is the rest of the challenge, and not as easy as you might think. We’ll continue with the interview in part 2 – so stay tuned!